Reaching For The Light is an album with a beginning, a middle and end. Like an elite track athlete, King King burst out of the blocks, consolidate in the middle of the race, cruising, before making a final push for the line. The band have maintained the spirit of their first two albums, Take My Hand and Standing In The Shadows, but this time around things feel that little bit brighter, tougher, crisper. Stopped The Rain', with Alan Nimmo mixing acoustic rhythm guitar and a piercing electric solo. ‘Waking Up’ then takes an even firmer grip with a simple, stomping beat from Wayne Proctor and bubbling bass from Lindsay Coulson. It’s an opening trio of songs that announces the presence of a band at the top of their game. They shift through the gears in the middle section, exploring different dynamics with occasional surges of power in ‘Rush Hour’, contrasting with ringing chords and Bob Fridzema’s swirling Hammond on ‘Crazy’, and the more delicate, keyboard-led, ‘Lay With Me’. The final third of the album features yet another of the band’s impeccable choices of cover, in this instance Paul Carrack’s ‘Just A Little Lie’, co-written with Charlie Dore. It’s a perfect fit for Nimmo’s voice and the band's typical lyrical themes, coloured with funk tones and grooves from all concerned. They bring the curtain down with ‘Stranger To Love’, the kind of soulful epic that showcases the band’s use of light and shade, building from a brooding start to a rocky peak, then cooling off with an Alan Nimmo guitar solo ahead of a mountainous finish. Some of these songs are grabbers, some are growers, but overall this set demonstrates once again that King King are the kind of band that can’t be defined with simple labels. Blues-rock isn’t an adequate description for the soulfulness and subtlety they bring to the table, any more than it was for Bad Company. Existing fans will need no convincing from me – this album continues the band’s run of form. There may not be anything here as utterly hypnotic as ‘Long History Of Love’, but Reaching For The Light cements King King’s position at the top of the tree. I continue to be a bit bemused by Eilidh McKellar being tagged as a blues artist. To be clear, I ain’t the blues police, and this isn’t intended as a criticism. 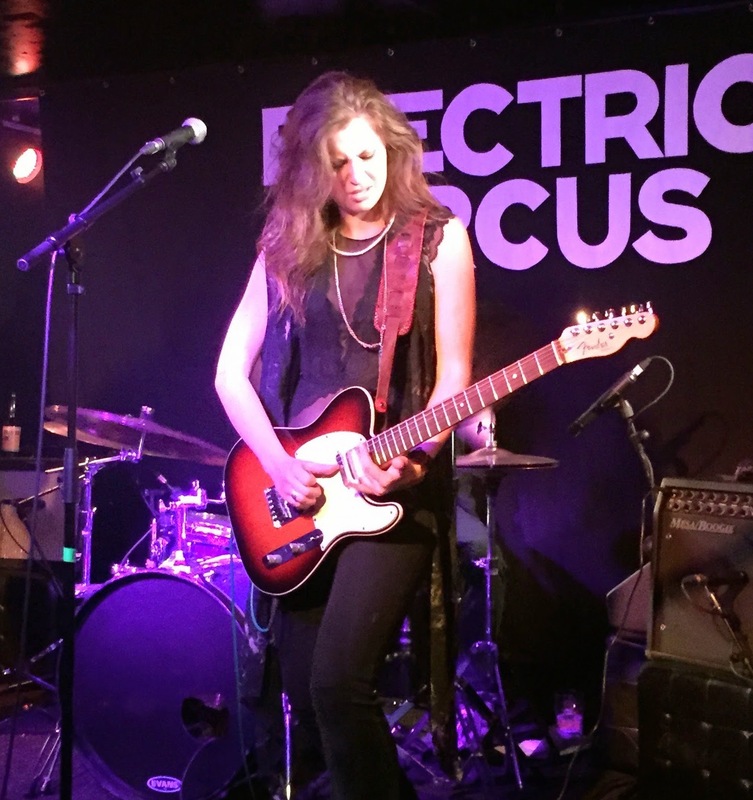 She certainly has bluesy influences, but to my mind she melds them with other ingredients to head into rather more expansive territory – rather as Dave Gilmour, say, draws on the blues scale as fuel for something decidedly different. That notion is reinforced by ‘Remedy’, the second song in this hour long set, which features nifty guitar harmonies and interplay over funky rhythms, ahead of an excellent solo which typifies McKellar’s ability to develop original guitar tones and textures. Her voice is distinctive too, but there’s a still a need for her to project more vocally. After ‘Dead Man Walking’ and ‘Avenue E’, from her album Delta Devil Dreams, the set takes a detour with a cover version of a Kanye West song – not my usual territory, but research suggests it was ‘No Church In The Wild’, though I stand ready to be corrected. Again, it’s an adventurous excursion, delivered playfully but also with conviction. Eilidh makes a passing reference to the track having blues roots – a James Brown sample perhaps? – but the more significant point is her ability to synthesize different styles into her sound. ‘Cruel’ is a high point, its rippling guitar lines vaguely suggesting some post-blues Tullish textures, hung around a big Zeppy riff in the middle, and resonant enough to be spinning around my head into the next day. Set closer ‘Until The Sun Comes Up’ features more assertive vocals from her on a revved up chorus, announced by a Hendrixy opening and pursued by a riff that echoes her champion Joe Bonamassa. I often find myself doubtfully comparing Eilidh McKellar with a host of other artists. It's indicative of the need to find points of reference for someone who is exploring all sorts of possibilities. I dare say there are more relevant influences that I’m missing, so comments welcome. Meantime, which musical highways and byways will Eilidh take us down next? 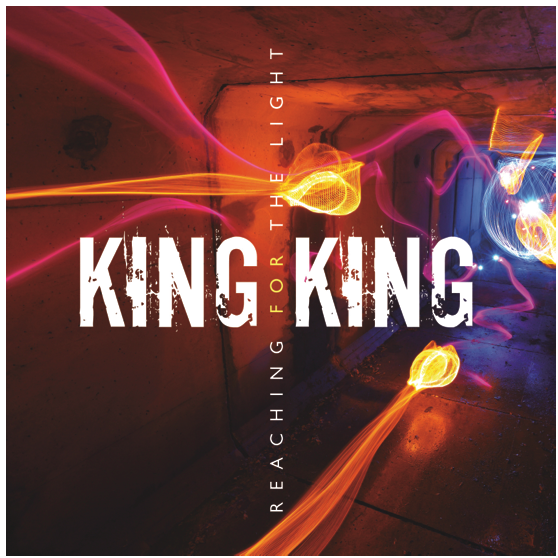 Coming soon - reviews of King King's new album Reaching For The Light, and Kara Grainger live. Watch this space! The Jensen Interceptors? Never heard of ‘em. Baby Isaac? Nope, them neither. Jordan and Hillis – who? But you know what? It really doesn’t matter. mic, a singer with a voice that can rattle the glassware behind the bar, we’re wearing brothel creepers, and we’ve got shades on indoors. Let’s do it.” And do it they do, with a gallus performance of boogie woogie, rock’n’roll and jump blues and a commitment to enjoying themselves and putting on a show. The only down side was their bass player taking a bad turn that curtailed their set, though thankfully he was himself again after a few minutes. The Jensen Interceptors blast into action with Slim Harpo’s ‘Dynamite’, followed swiftly by ‘Bo Diddley’. By the time they’ve cranked out the original ‘I’m Buzzin’’ (‘I’m buzzing like a bee on Ecstasy’) and a Wolf-style ’44 Blues’ their Chicago R&B intentions are clear, and the joint is, as they say, jumping. Led by main man Gary Martin on harp and vocals, they tear through their set with gusto. 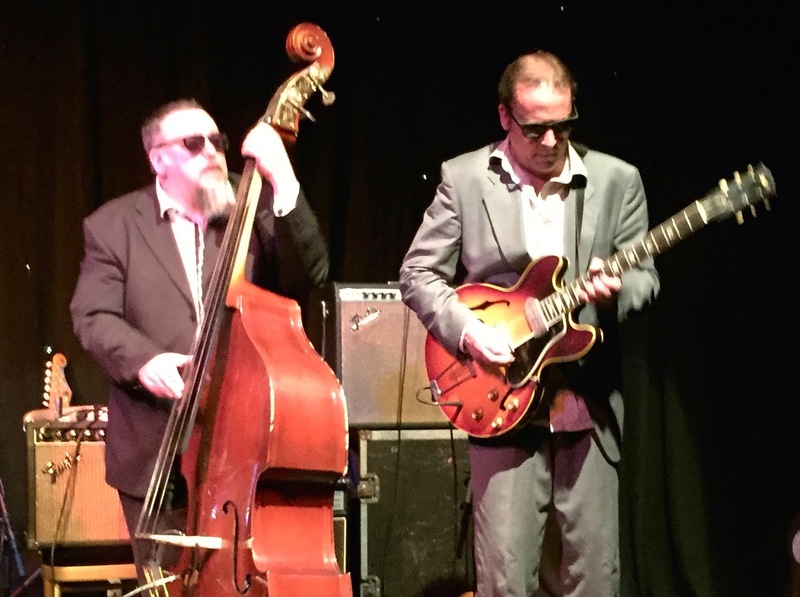 Jim Walker on drums (unhampered by playing Baby Isaac’s kit) and Rod Kennard on bass (previously covered by this blog playing with Blues ‘N’ Trouble) roll out irresistible rhythms, over which Richard O’Donnell lays variations on keys and Johnny Bruce coolly delivers classic R&B guitar. They belt through classics like ‘Born In Chicago’ and ‘Whiskey Headed Woman’ with evident relish, getting youngster Harry Noble up to join them on guitar for a number, while Martin also straps on a six-string to add slide to their own ‘Outta Here’. By the time they reach another Slim Harpo number, ‘Shake Your Hips’, the title is prophetic. When you get down to it, the blues isn’t about fame, cd sales, I-IV-V progressions or 12 bars. I imagine that back in the day in the South Side of Chicago, what they cared about was a damn good night out. And tonight ticked that box. It must have been early 1976 when I got hold of Deep Purple’s Made In Europe. It was the first Purple live album I got my ears around, and something of an epiphany – this was the real deal. And listening to it now, it’s still a damn fine hard rock album. 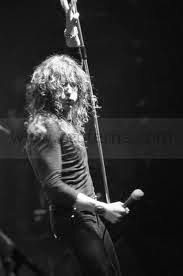 What brings it to mind now though, in a blues context, is ‘Mistreated’ – interpolating, as the sleeve notes put it, ‘Rock Me Baby’ – and the way that I particularly identify the track with David Coverdale. "Ere's a song for ya!" It’s a great performance on Made In Europe, but it went on to become a mainstay of the Whitesnake repertoire, and you might say a template for their especially bluesy brand of rock in the Marsden/Moody line-up. I dare say Coverdale had performed it live during his solo spell before forming Whitesnake, but my key recollection of it making an impression with the latter was when they did a tour of small UK clubs on the back of the Snakebite EP released in 1978. There was a review in Sounds of a gig at, I’m pretty sure, the Redcar Coatham Bowl, probably written by their then North East of England correspondent Phil Sutcliffe. As I recall, he was a writer was of eclectic interests, fair minded, but not someone whose tastes I would ordinarily have expected to run to an outfit such as Whitesnake. But their performance of Bobby Bland’s ‘Ain’t No Love In The Heart Of The City’ got his attention, and next thing he was gripped by Coverdale gulping his air into his lungs, the better to bawl “AH BIN MISTREATED!” Or something like that. Anyway, spot on I reckon. I’ve always thought of it as a song that, vocally, Coverdale “owns”. Back then I was an even bigger fan of Rainbow, both for Ritchie Blackmore’s guitar and Ronnie James Dio’s vocals. But their version of ‘Mistreated’ on the live album Onstage somehow never did it for me in the same way. Whatever else I might think about David Coverdale, his blues-belting vocals made this his song. Check out this performance by Purple at the California Jam in 1974, with both Blackmore and Coverdale giving it plenty! Keep it short and sweet. Keep it simple. 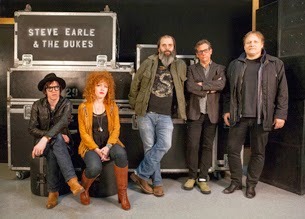 That could be the motto for this, the self-professed blues album from Steve Earle. Here are eleven tracks spread over just 37 minutes, largely working the Mississippi Delta and the bayou country, with the odd hint of Chicago thrown in for good measure. Terraplane is a healthy portion of rootsy blues reflecting Steve Earle’s consummate song writing skills, drawing on some different styles while maintaining a coherent feel. tempts you to think that this set will be consumed by dark introspection and self-pity, think again. Steve Earle is a top-drawer lyricist, and much of the material here demonstrates that with originality and humour, right from the tongue in cheek brackets of the opening title, ‘Baby Baby Baby (Baby)’, swiftly confirmed by the opening lines: “I got a girl that live way down south / A little town they call ‘Shut my mouth’”. ‘The Tennessee Kid’ is an attention-grabber, a ‘Crossroads’-style tale involving the eponymous Kid and Old Nick, recounted in a semi-spoken vocal and a mood reminiscent of Ian Siegal’s ‘Curses’, and invoking a froth of Revelations imagery. It’s a strangely incomplete narrative, as if there’s a missing first verse that provided the back-story, but perhaps all the more thought-provoking as a result. ‘Go Go Boots Are Back’ meanwhile, cheerfully observes the return of cherished old fashions in a manner that Drive-By Truckers would admire, underpinned by a vaguely Stonesy riff. For that matter one could also imagine Jagger relishing getting his tonsils around the following ‘Acquainted With The Wind’. The one downbeat moment comes in ‘Better Off Alone’, a sparse, beautifully structured expression of resignation and even bitterness. It’s made all the more poignant by following the breezy, down home declaration of independence that is ‘Ain’t Nobody’s Daddy Now’ (“I’m free / Can’t nobody tie me down / Nothin’ ever worries me / Ain’t nobody’s daddy now”). 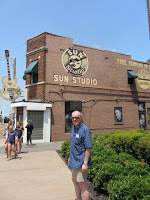 Earle may jokingly lay claim to be ‘King Of The Blues’ on the swaggering closing track, and he puts in a shift on guitar, mandolin, harp and vocals. But this is a team performance from a sympatico set of musicians, so full credit to Kelly Looney on bass, Will Rigby on drums, Chris Masterson on guitar and Eleanor Whitmore on fiddle and vocals, as well as producer R.S. Field. Nevertheless, it’s the songs that are the centre of attention, and if Steve Earle felt it was inevitable he would make this album on day, then he’s done it justice. Listening to Paul Jones’ Radio 2 show a couple of weeks ago, I got an earful of something interesting enough to make me go in search of it online. So here we have, hailing from that Blues heartland of, er, Connecticut, the Balkun Brothers. Formed by brothers Steve Balkun (guitar/vocals) and Nick Balkun (drums/vocals), and now joined by Caleb Battersby on bass and vocals, they’ve previously released a few EPs, and apparently won a clutch of blues awards in the States. But this is their debut album, and it’s well worth a listen. Opener ‘Oh Yeah! (Last Jam)’ crashes in with a wall of guitar, as a prelude to a lurching, sub-Zeppelin riff, over which Steve Balkun (I assume) lays a vocal that’s more Selwyn Birchwood than Robert Plant, before they underpin a wailing guitar solo with a bass-heavy, drum-pounding foundation that vaguely recalls Sabbath of all people. The following title track, contrastingly, is something of a Southern blues-rock affair. So far, so okay, but it’s not what I was anticipating. ‘Got My Boots On’, though, delivers the goods. A gorgeously shuffling piece of delta blues, with slide guitar well to the fore, it steers proceedings in more of a North Mississippi Allstars direction, which is all to the good. And there’s more of it to come. If ‘Keep Me Warm’ lives up to its monicker, with a lazy, rolling groove, the wonderfully titled ‘Search For The Arachnid’ offers a simple but original blend of a breezy riff, pattering drums, and squealing slide interventions, plus – what is that? – a tuba solo?! ‘Bippidee Bop’ is slower, built around a stuttering riff and rhythm leading up to another outburst of slide guitar, while ‘Keep It Up’ freshens things up with some gypsy jazz leanings, and excellent bass from Battersby. Ordinarily, I have to say, I run for cover at the first hint of Django Reinhardt, but as it progresses this takes on an appealing jump blues feel. ‘Sally’s Blues’ is a satisfying turn at a slow blues, with piano tinkling in the background, and featuring the best, most bluesy vocal, before Steve Balkun turns up the heat with a dynamic solo. From there they slither and boogie down the Delta again, all the way to the closing ‘Going Home’, which evokes NMA in ‘Shake ‘Em On Down’ mode, interspersed with a bit of a Native American vibe, and a burst of motorbike revving, as evidenced on this brief promo video. 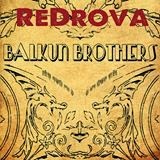 The Balkun Brothers website declares that they mix “traditional styles of delta and electric blues, with heavy modern rock and funk grooves”. On this evidence, when they dial down the heavy modern rock, they’re a force to be reckoned with – and Steve Balkun could be a breath-of-fresh-air guitar hero.